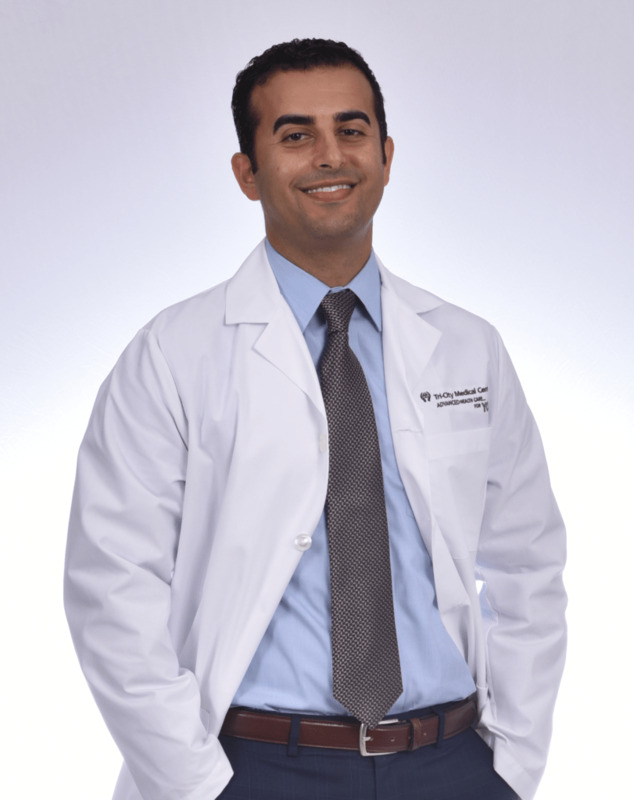 Dr. Payam Moazzaz is a spine surgeon who applies a decade’s worth of accumulated experience as an orthopedic physician and surgeon to the diagnosis and treatment of a vast variety of complex spine disorders. 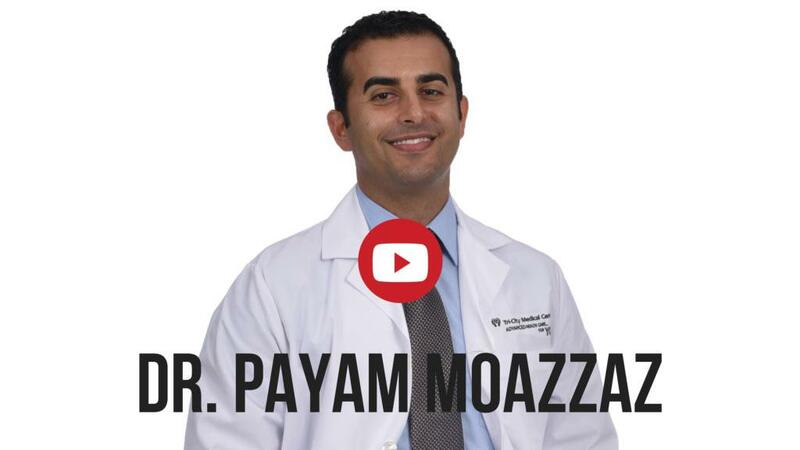 Through noninvasive therapies, minimally invasive procedures, and select robotic orthopedic surgeries, Dr. Payam Moazzaz’s patients garner a welcome release from the pain that hinders their lives. He is very passionate about his patients regaining the mobility and functionality that allows them to make those lives happy, active and successful. Here you can learn about the various spine conditions that might be causing your pain and stiffness; disorders that include spinal cord tumors, spinal infections, spinal deformities, spinal instability, and others. Through the information found on this website and through personal consultations with Dr. Payam Moazzaz himself, you will learn about the causes of these conditions; their symptoms and effects, and all of the possible ways that they can be alleviated and cured. As you explore each possible course of treatment–whether it takes the form of medication, massage, physical therapy, a specialty procedure (such as injections or implants) or a surgical procedure, you will learn about the risks, side effects, short-term and long-term effects of each treatment. Explore the possibilities with our top-notch San Diego spine surgeon today, and start a promising and productive new life; one lived free of back pain. Dr. Payam Moazzaz, Perfect 100% Accuracy! 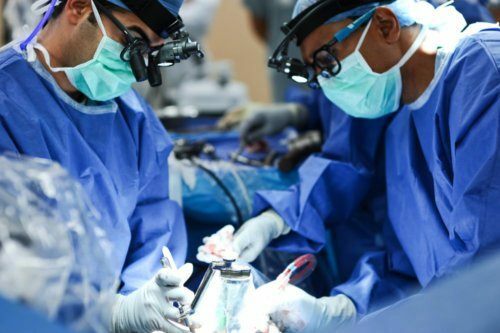 The idea of orthopedic surgery using robotics strikes fear in the hearts—and backs—of many people, who see this surgical procedure as being invasive, painful, messy, and impactful on one’s life and long-term recovery. Yet an innovative and revolutionary procedure known as robotic surgery is transforming and evolving the orthopedic field; making the experience of back surgery easier, less painful, and more effective. This local San Diego spine surgeon specializes in minimally invasive procedures, was among the first United States physicians to perform robotic spine surgery. Dr. Payam Moazzaz has performed more robotic spinal surgeries than any other surgeon in San Diego and the entire state of California. As of June 2018, Dr. Moazzaz has performed over 520 spine surgeries, and over 3,800 spine implants using robotic technology. Dr. Moazzaz is also most successful spinal surgeon using robotics in California with 100% ACCURACY! 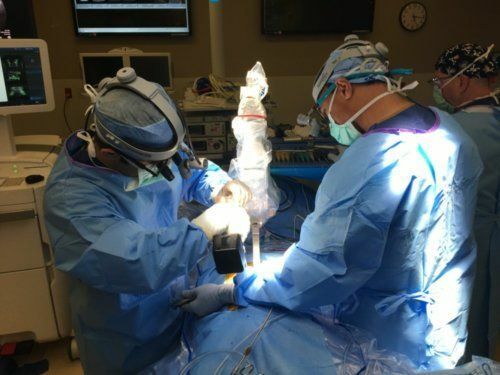 Dr. Moazzaz has had visiting surgeons from the United States and internationally attend his spinal surgeries so that he can teach them what he has learned through his experience and the finer points of robotic surgery. Robotic surgery represents the highest order of advanced, minimally invasive surgical options. By way of cutting-edge imaging technology, Dr. Moazzaz can explore the spine quickly and precisely to diagnose the health issue that needs to be remedied. Then he inserts miniature surgical instruments through small incisions by way of robotic arms; permitting him a revolutionary range of motion and precision. A high-definition, three-dimensional camera guides and directs him as he navigates the surgical procedure by way of a high-tech monitor and console; supplying an unparalleled and literal inside view of the patient’s back. Through the technological magic of robotic surgery, Doctor Payam Moazzaz can perform spinal fusion surgery, scoliosis surgery, discectomy, sciatica surgery, spinal trauma surgery, surgeries to treat complex spine disorders and spinal instability, laminectomy, etc. Robotic spine surgery patients benefit from a procedure that involves less pain, scarring, trauma, and infection, and even a shorter recovery time than more traditional surgical methods. Aside from enjoying effective and highly specialized results, the back pain patient also will enjoy a faster and more empowered return to their daily activities; going back to work or school, resuming exercise, sports and recreational activities, and spending quality time with friends and family. Dr. Moazzaz also specializes in noninvasive, nonsurgical modes of therapy and treatment for all varieties of back and neck pain; but if those methods prove ineffective, he will guide the patient through the gentle and effective procedure known as robotic spine surgery–ultimately setting them back on the vital path toward health and mobility.